That’s it, I’m moving to Austin. 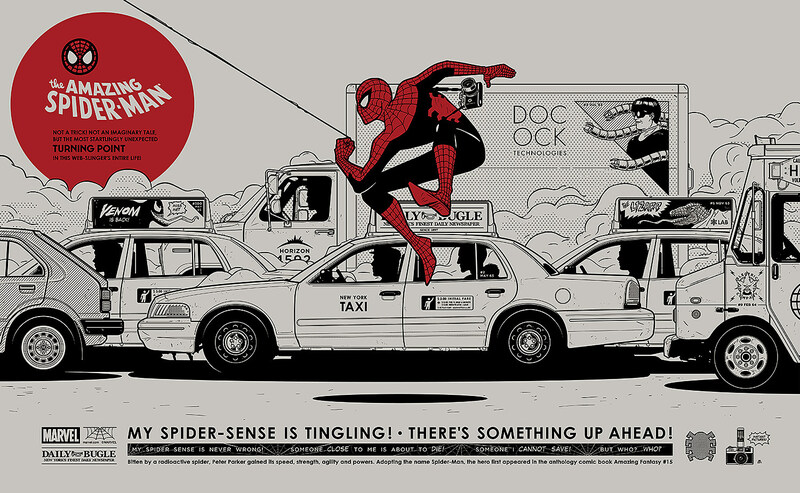 Not living in Austin, you miss out on amazing stuff like this; Mondo Gallery’s amazing looking Marvel show. Debuting tomorrow, “Snikt. Bamf. 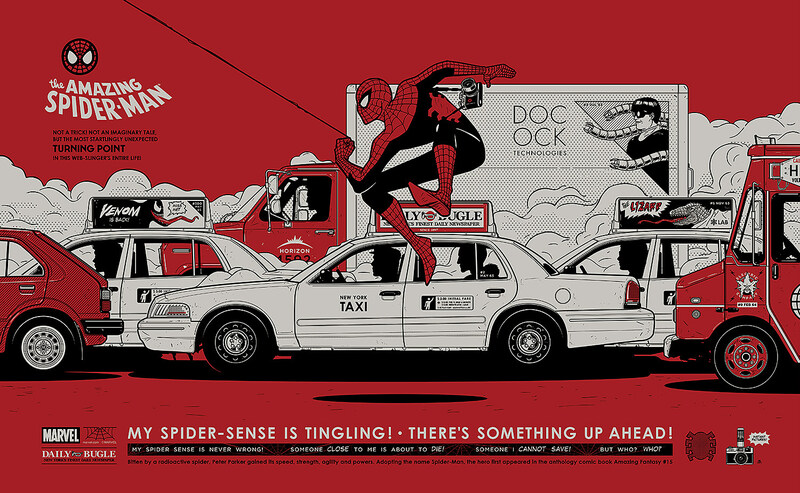 Thwip: A Celebration of Marvel Comics” will showcase (and sell) a collection of gorgeous posters featuring the world’s greatest superheroes illustrated by some of the world’s greatest artists. Mondo’s final show of 2015 features pieces by Becky Cloonan, Francesco Francavilla, Matt Taylor, Mike Mitchell, Phantom City Creative, Tom Whalen, and many more. I love the nods to Spidey villains like Venom, Doctor Octopus, and Electro, plus the inclusion of two of Peter Parker’s employers; the old Daily Bugle and the new Horizon Labs, where Ol’ Webhead spent his last couple years as a scientist. Pick whatever Spider-Man superlative you want; amazing, spectacular, sensational. They all apply. Mondo’s Marvel show opens tomorrow, December 11, at 7PM and runs through December 19. For more details check out the gallery’s official site. And if you have a line on cheap real estate in the Austin area, let me know.